Most of my experience with first-person shooters comes from more recent games. The only real retro FPS I’ve played is GoldenEye on Nintendo 64, and I haven’t played any of the great PC shooters of old, except Half-Life through the remake Black Mesa. 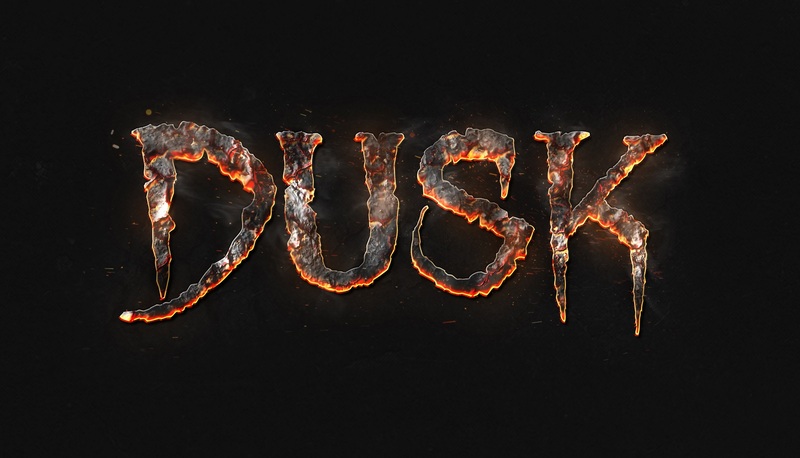 As such, DUSK from New Blood Interactive is my first real exposure to the genre. And apparently I’m not bad at it. 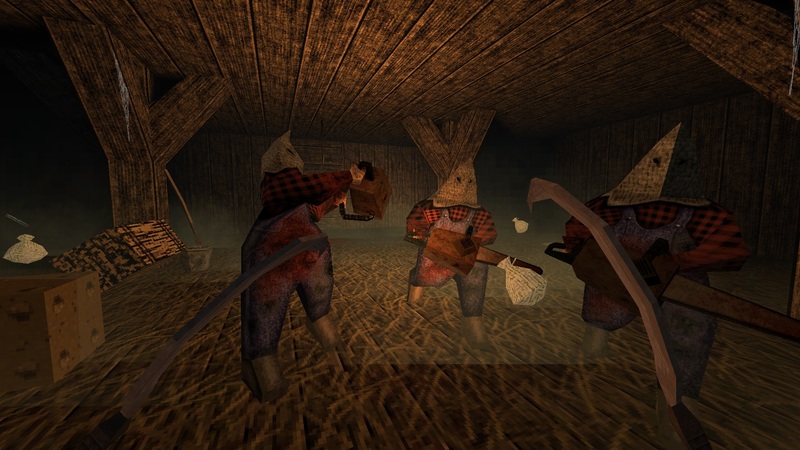 DUSK is a retro-style FPS meant to evoke games like DOOM, Quake and others. It moves fast, with enemies all around you that need you to keep on your feet or else you’ll get killed in seconds. Weapons have no need to reload, so you can just fire endlessly until you run out of ammo. I found that easily the most useful weapons were the hunting rifle for long range combat, and either the dual shotguns or the super shotgun at short range. The playstyle is particularly nice for short range, since it’s fairly easy to get up close to enemies and circle strafe them while firing at them with your shotguns. The biggest thing to keep in mind is to always be moving, because stopping is a very good way to get hit by enemy shots. The gameplay is super energetic and dynamic, and easily some of the most fun I’ve ever had with an FPS, both in the demo level and in the endless mode. The graphics are done in a deliberately old-school style. Enemy and environment models are all boxy and have a low-poly look. The game is meant to be set in the backwoods of the American northwest, with environments like run-down sheds, abandoned cabins and basements. There’s a wide variety of weapons available, such as the aforementioned shotguns, super shotgun and hunting rifle, as well as crossbows, a mortar, pistols, assault rifles, and twin sickles. Gun sounds are loud and satisfying, with the super shotgun sounding just as powerful as it actually is. The music is composed by Andrew Hulshut, also known as the composer for Brutal DOOM and Rise of the Triad. DUSK is releasing on PC sometime in 2017. 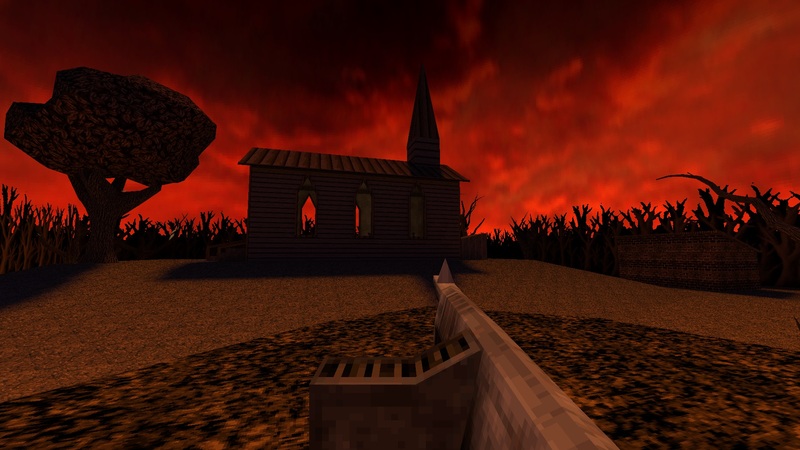 A fairly fortuitous time for a deliberately retro-styled shooter to release, considering the recent success of the new DOOM game. I’ll be keeping an eye on it when it releases, so we’ll see how the quality holds up from the demo into the full game.